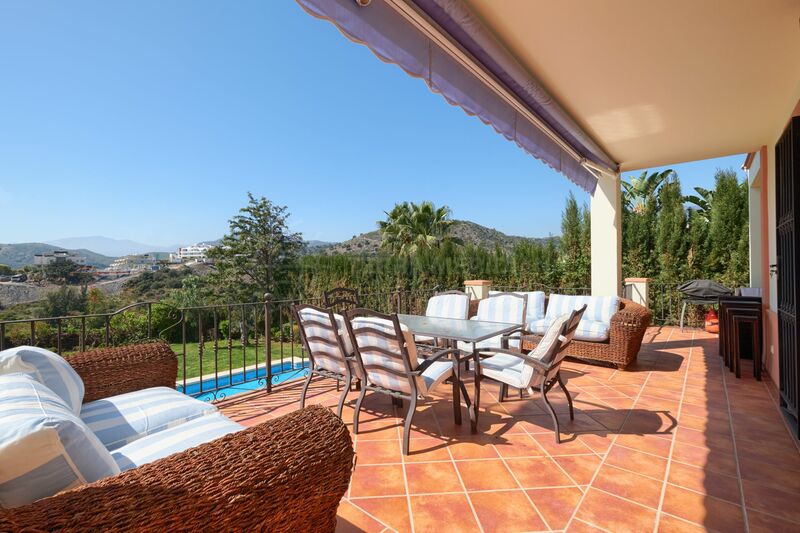 This gorgeous west facing villa is located in a quiet cul-de-sac within a secure and gated community. 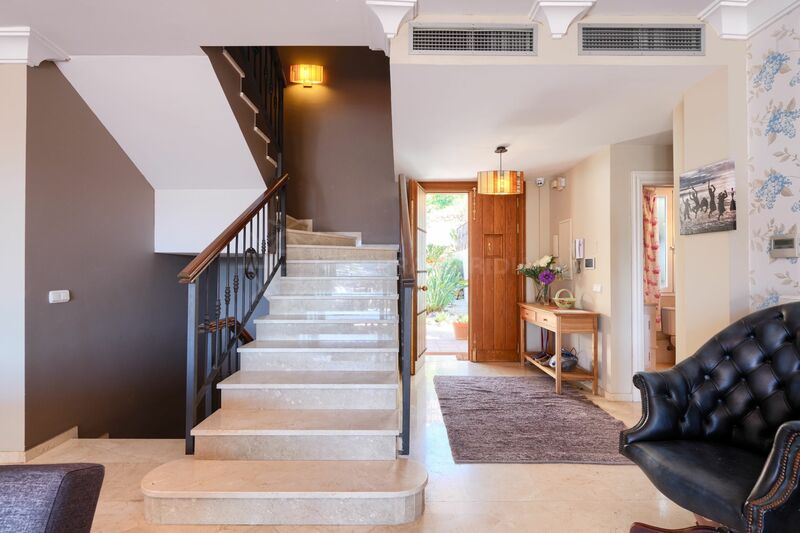 Set over 3 levels the property is perfectly designed, light, and open. 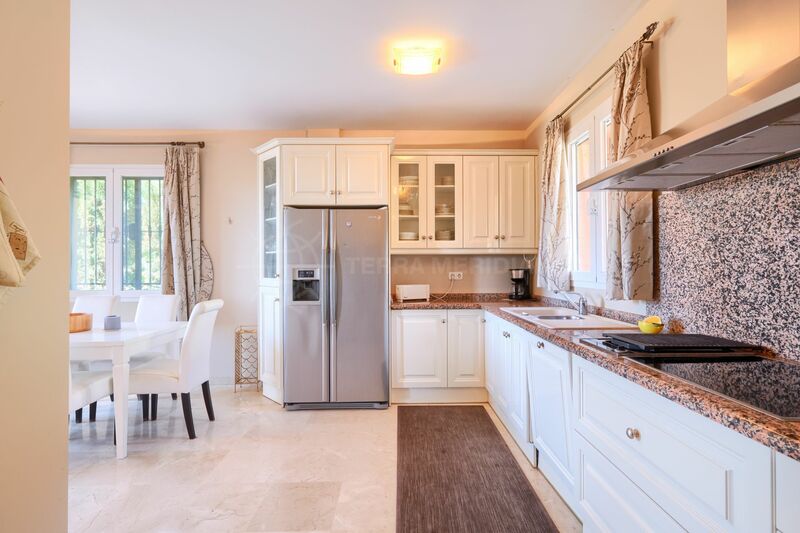 The main floor offers an entrance hallway, an ample living area with fireplace, dining and open concept fully fitted kitchen with Bosch and Miele appliances, and a guest bedroom and bathroom. 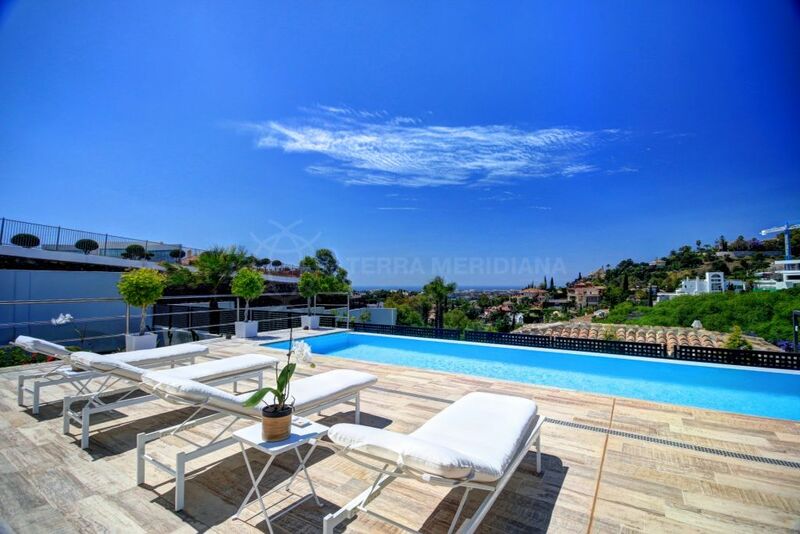 This level has direct access to the large covered and open terraces, BBQ area, sun-filled garden and swimming pool. 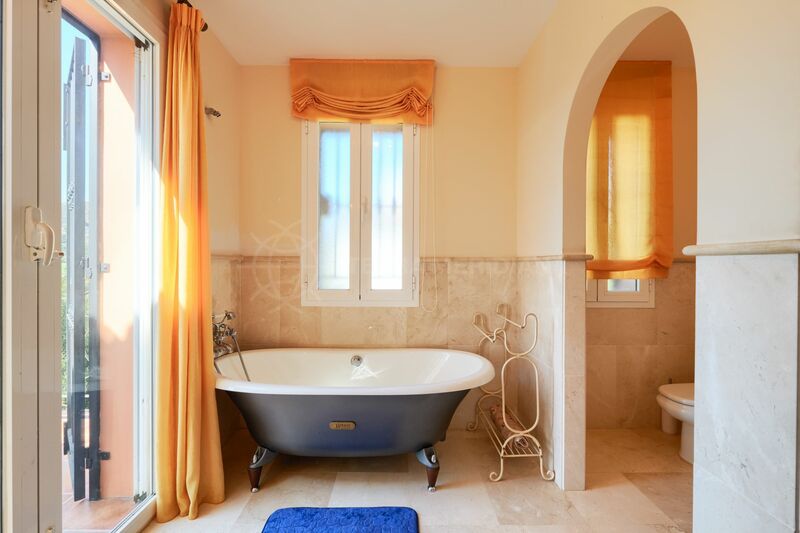 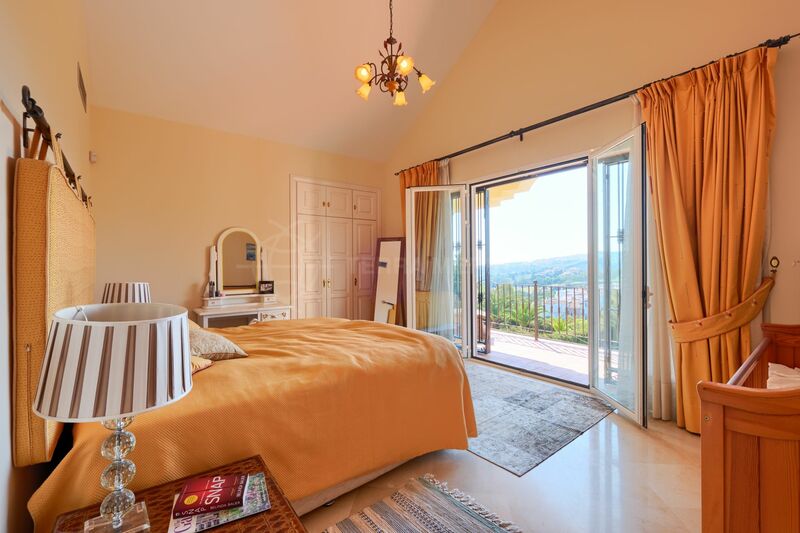 The first floor features the master suite with private terrace and another guest suite also with its own terrace. 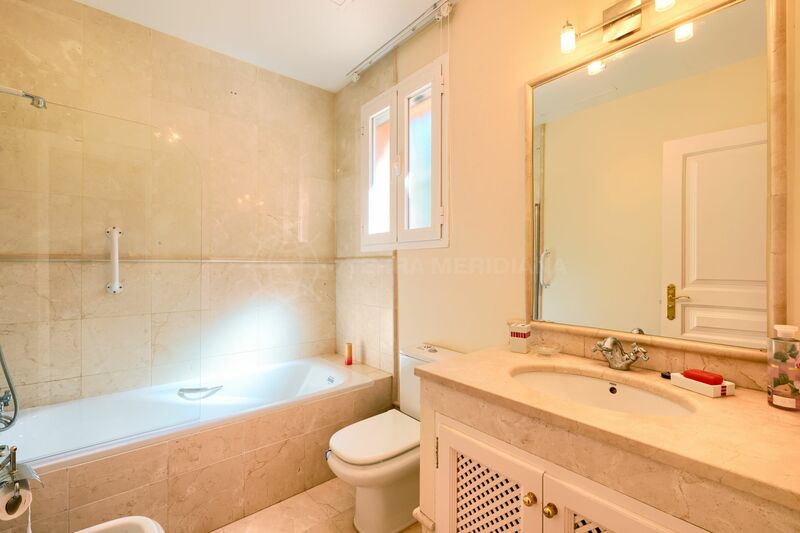 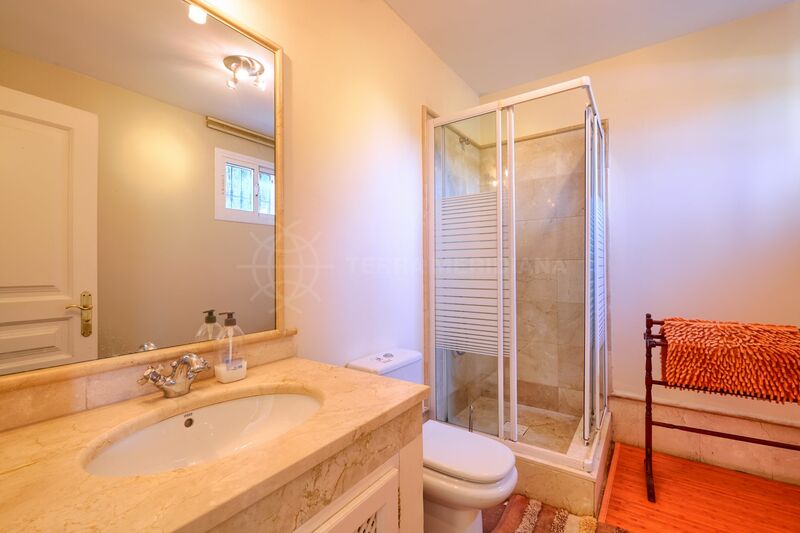 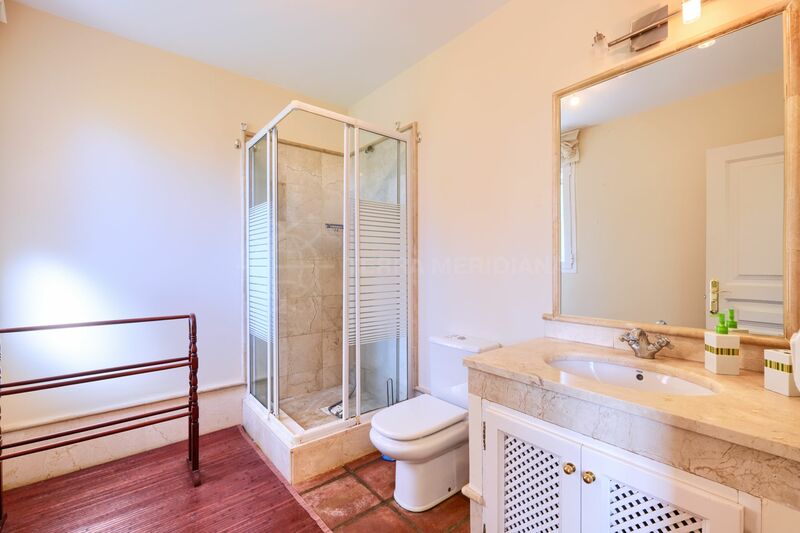 The lower garden level is comprised of 2 suites, a games room, laundry and ample storage. 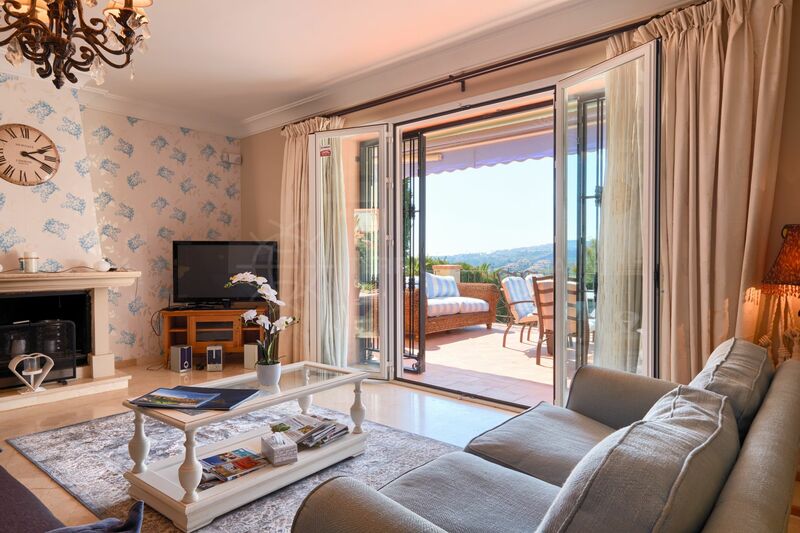 Other specifications include A/C with heating, underfloor heating in the lounge and master suite, a carport for 2 cars and an alarm system. 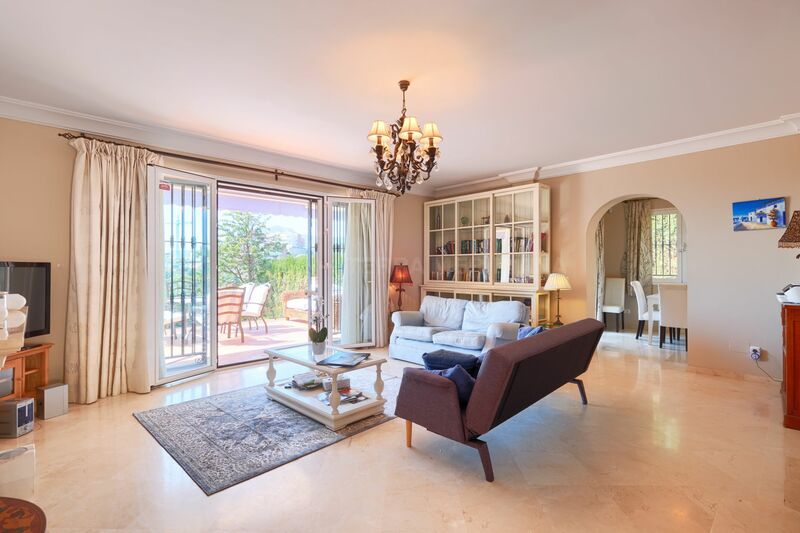 The very sought after neighbourhood of Puerto del Capitan is situated in the municipality of Benahavis and the village bearing the same name has been identified as the Costa del Sol´s culinary destination. 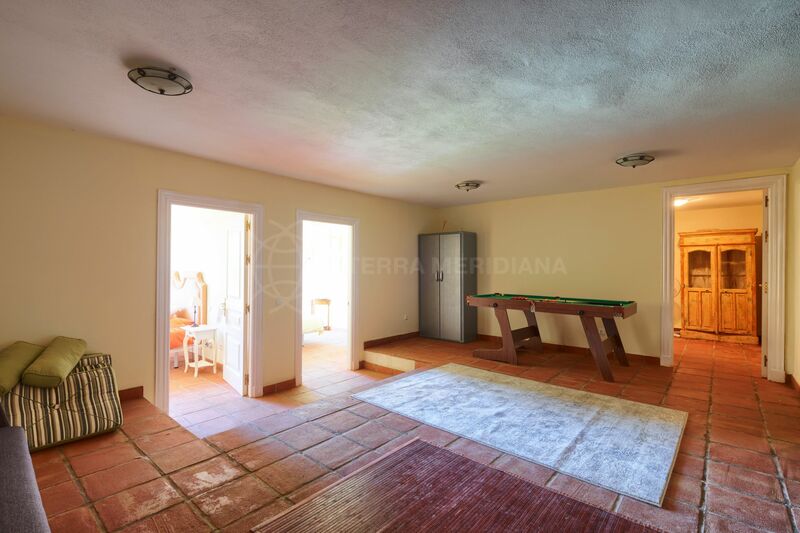 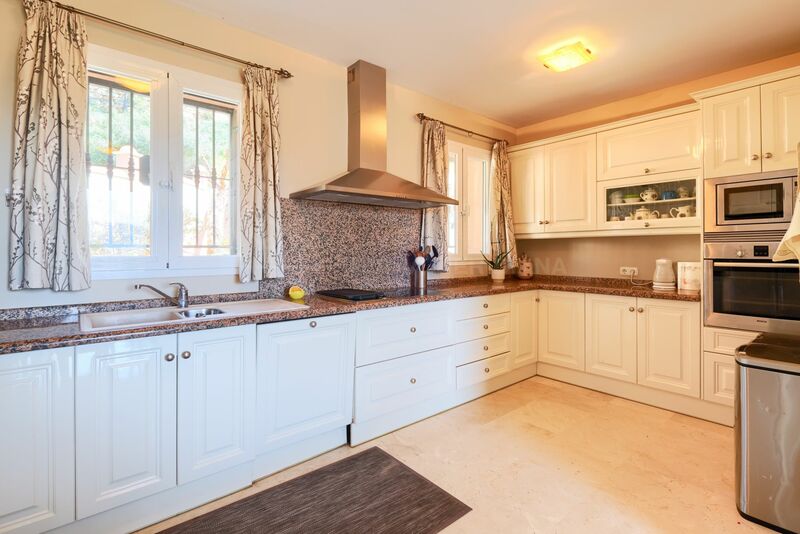 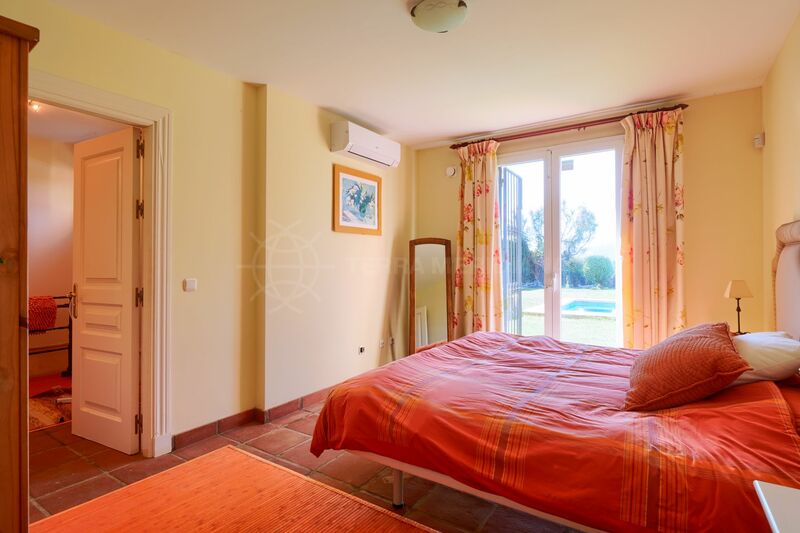 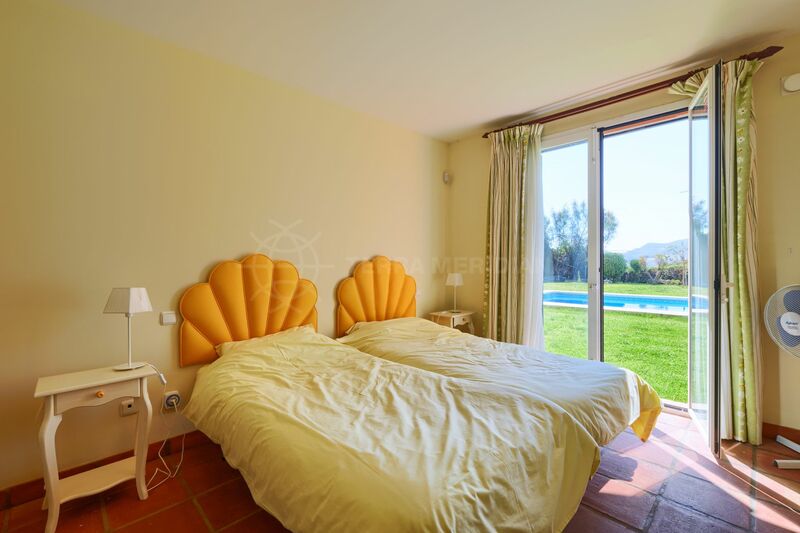 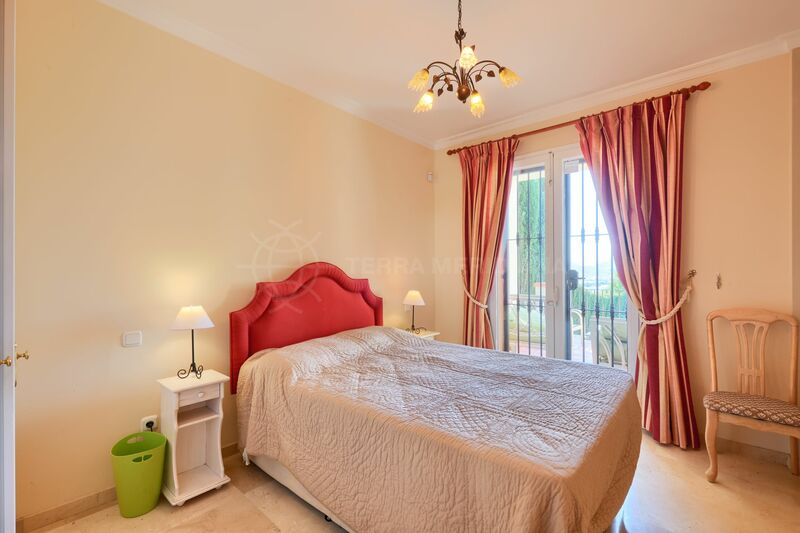 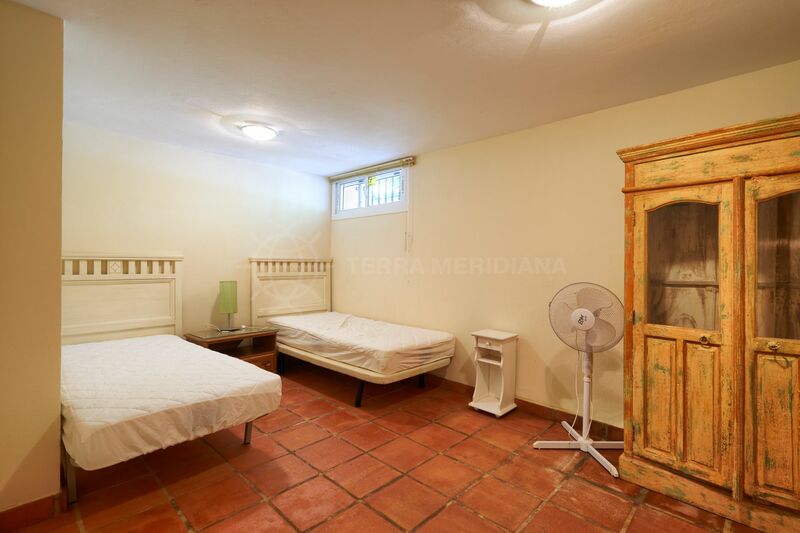 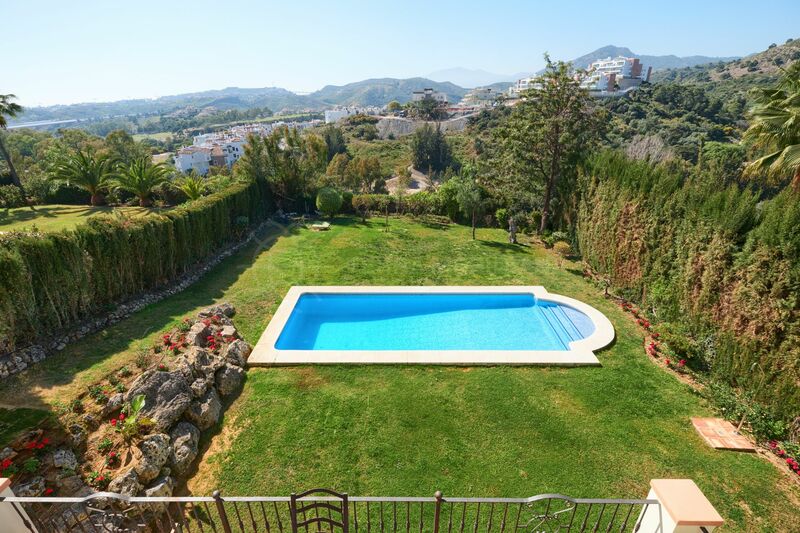 A stone´s throw away from Los Arqueros and Capanes del Golf courses. 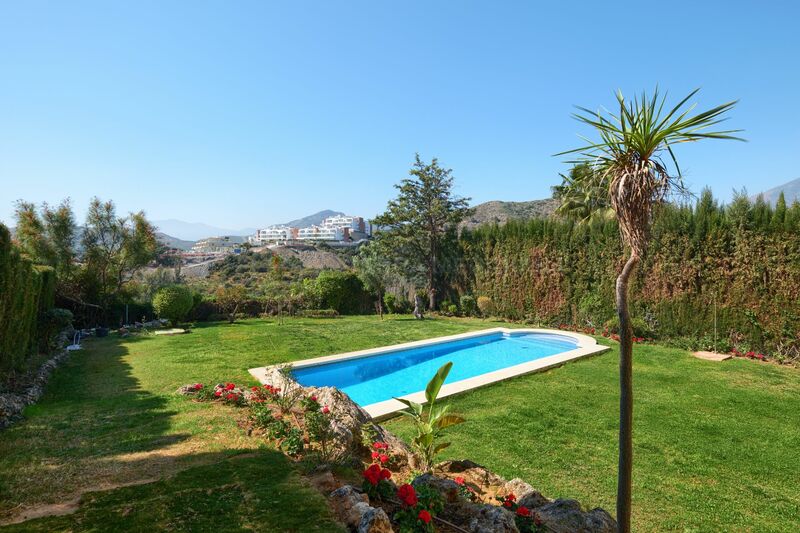 Just over 10 minutes drive to Puerto Banus and close to a myriad of outdoor family activities, restaurants and cafes. 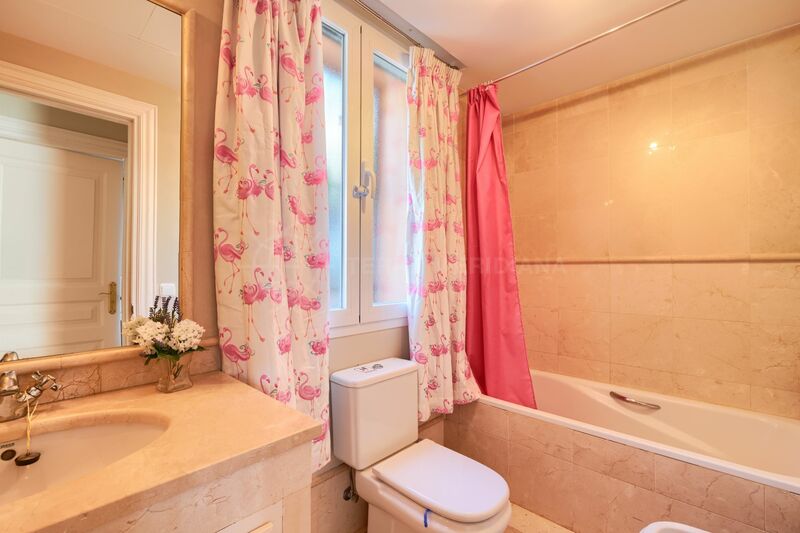 "A must see for buyers looking for a larger property in the area." 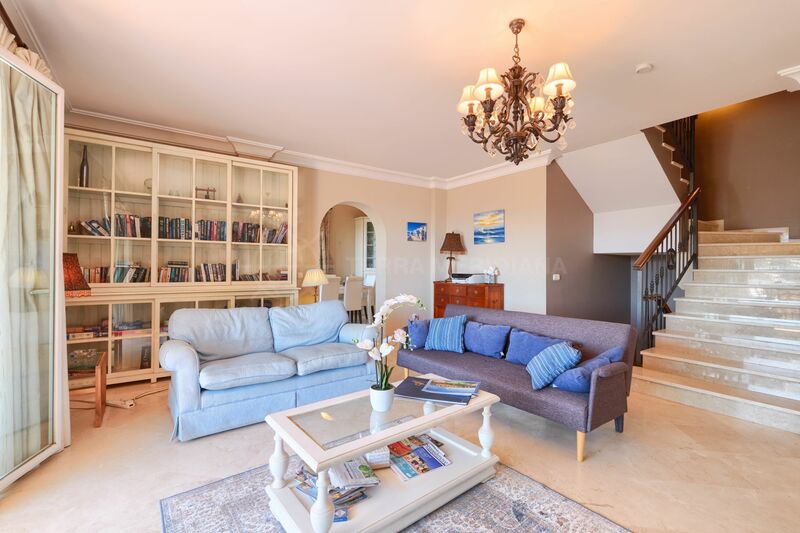 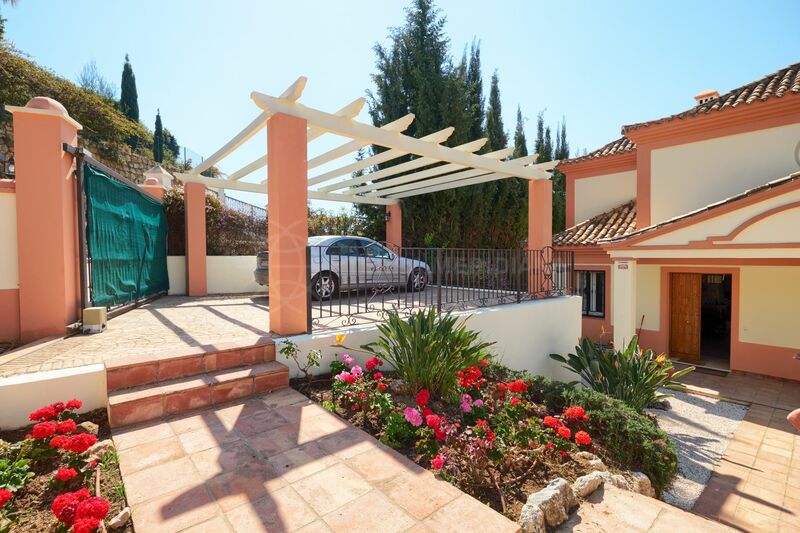 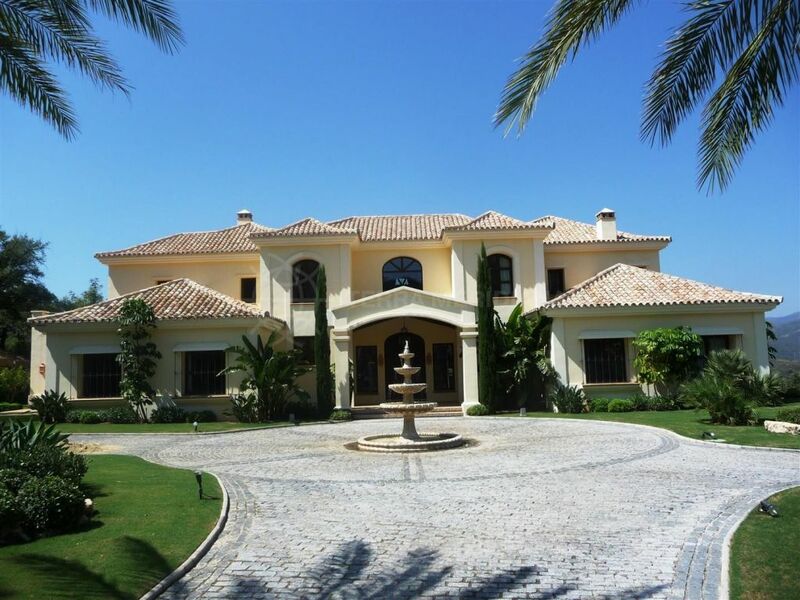 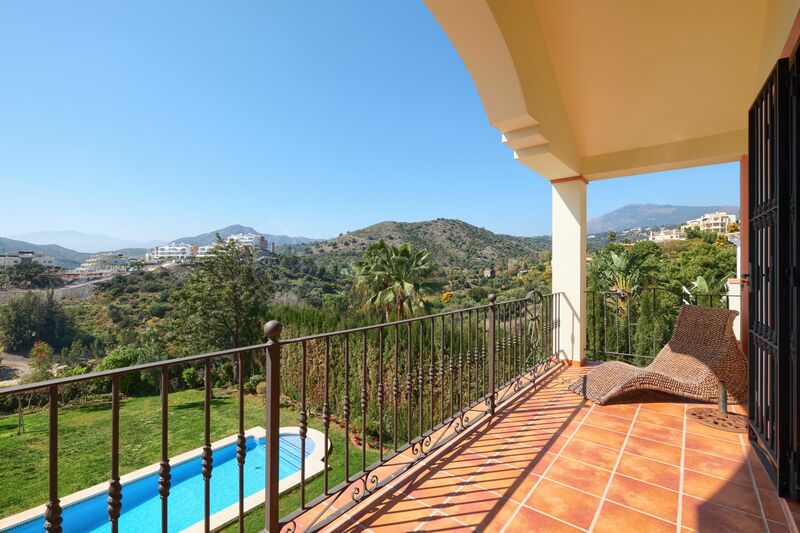 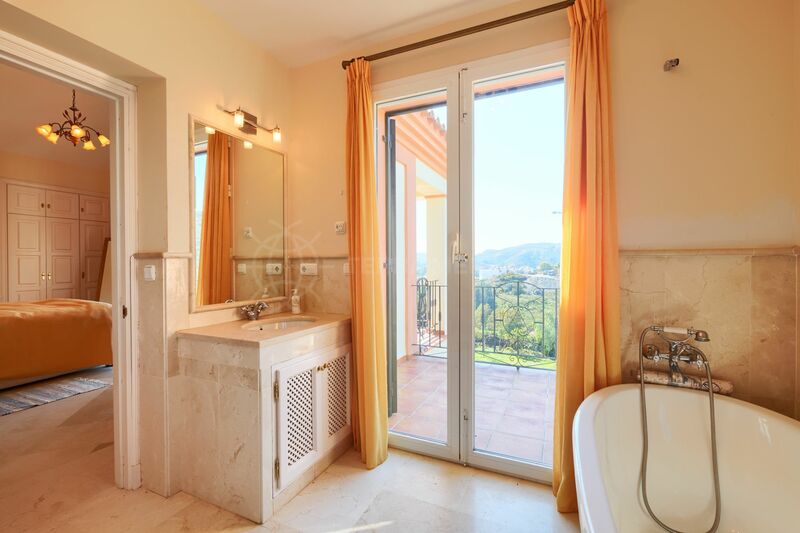 Please, send me more information about ref TMXV1849, Villa in Puerto del Capitan, Benahavis or similar properties.